We’ll also be raffling off a copy of March’s featured book, The Only Road (Grades 3-7). Join us that evening to be entered! Join us on Monday, January 8th at Tractor Brewing (1800 4th St NW) from 5:00-7:00 pm to discuss our next book. We are reading Maximilian & the Mystery of the Guardian Angel: A Bilingual Lucha Libre Thriller (Grades 2 – 7) by Xavier Garza. 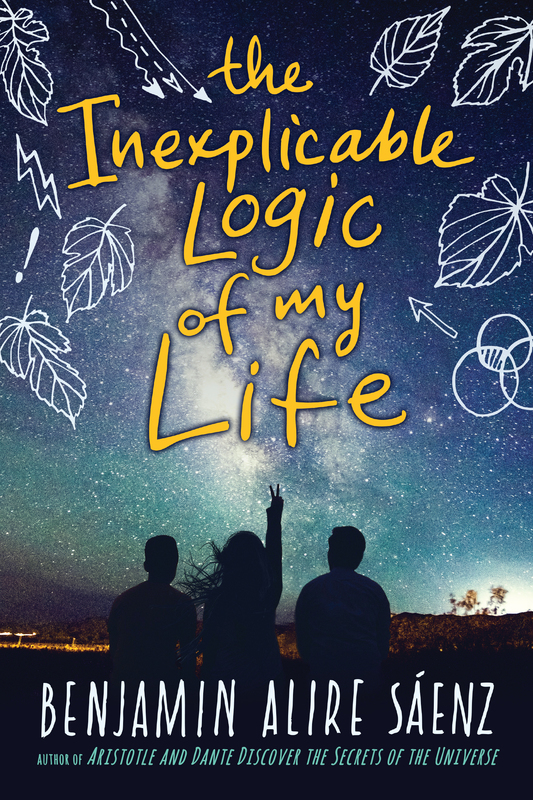 We’ll also be raffling off a copy of February’s featured book, The Inexplicable Logic of my Life (Grades 7 and up). Join us that evening to be entered! ¡Hola a todos! We are already halfway through November! I cannot believe how fast this month is passing by. Here are this week’s resources. – Congratulations to the 20 books that made it to the Premio Fundación Cuatro Gatos 2017. This year there were over one thousand publications representing 20 countries from which to choose! Image: Holguin, Cuba. Reprinted from Flickr user Piviso under CC©. Join us on Monday, December 11th at Tractor Brewing (1800 4th St NW) from 5:00-7:00 pm to discuss our next book. It’s another adult novel month! This month we decided to do a “fan favorite” and our book group chose Like Water for Chocolate/ Como agua para chocolate by Laura Esquivel. This book is available in both English and Spanish (each version is hyperlinked above)! A sumptuous feast of a novel, it relates the bizarre history of the all-female De La Garza family. Tita, the youngest daughter of the house, has been forbidden to marry, condemned by Mexican tradition to look after her mother until she dies. But Tita falls in love with Pedro, and he is seduced by the magical food she cooks. In desperation, Pedro marries her sister Rosaura so that he can stay close to her, so that Tita and Pedro are forced to circle each other in unconsummated passion. Only a freakish chain of tragedies, bad luck and fate finally reunite them against all the odds. We’ll also be raffling off a copy of January’s featured book, Maximilian & the Mystery of the Guardian Angel: A Bilingual Lucha Libre Thriller (Grades 2 – 7). Join us that evening to be entered! Join us on Monday, November 13th at Tractor Brewing (1800 4th St NW) from 5:00-7:00 pm to discuss our next book. We are reading American Street (Grades 9 and up) by Ibi Zoboi. American Street is an evocative and powerful coming-of-age story perfect for fans of Everything, Everything; Bone Gap; and All American Boys. In this stunning debut novel, Pushcart-nominated author Ibi Zoboi draws on her own experience as a young Haitian immigrant, infusing this lyrical exploration of America with magical realism and vodou culture. We’ll also be raffling off a copy of December’s featured book, Like Water for Chocolate/ Como agua para chocolate (Adult). Join us that evening to be entered!